The university held a day of celebration to showcase the heritage of its students. A marching band, student performances and demonstrations were just some of the elements from the University of Windsor's Celebration of Nations event. It's the 14th annual celebration, where the institution raises awareness of the cultural diversity that exists on campus. Beth Oakley, director of the International Student Centre at the university, said there are almost 4,000 international students from more than 90 countries attending the school. "University of Windsor has always been one of the more diverse universities in Ontario, and we just love to celebrate that," she said. 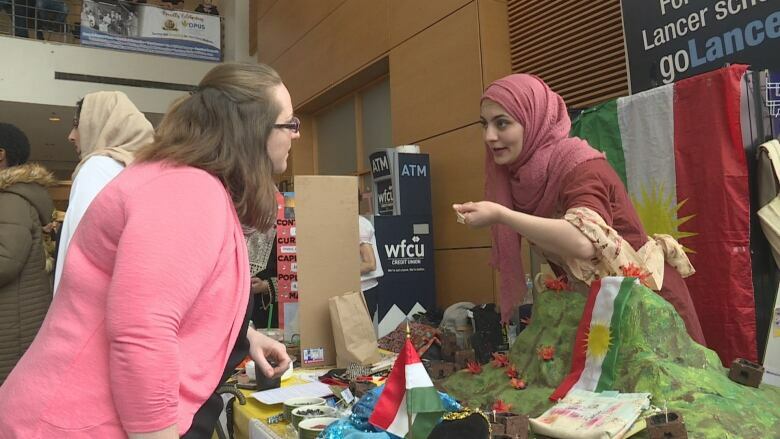 There were display booths set up at the CAW Student Centre, where students set up posters, food, clothing and more for others to learn about their heritage and culture. "We just love to celebrate that, we want to make it bigger and better every year and involve more students," Oakley said.